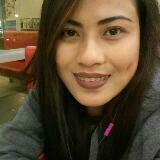 jamei. Gadget is good as new. Very accomodating seller. Communicates well even after the transaction. I defenitely recommend! Michael Kors watches for sale!!! Price is Php 3,500, shipping fee is FREE. Resellers are welcome! Please visit and LIKE our FB page https://www.facebook.com/watchmenaenaeph/ for more designs that suits your personality. Thank you! Fossil watches for sale (with box) !!! Price is Php 3,300, shipping fee is FREE. Resellers are welcome! Please visit and LIKE our FB page https://www.facebook.com/watchmenaenaeph/ for more designs that suits your personality. Thank you! Michael Kors watches for sale (with box)!!! Price is Php 3,700, shipping fee is FREE. Resellers are welcome! Please visit and LIKE our FB page https://www.facebook.com/watchmenaenaeph/ for more designs that suits your personality. Thank you! Michael Kors watches for sale (with box)!!! Price is Php 3,500, shipping fee is FREE. Resellers are welcome! Please visit and LIKE our FB page https://www.facebook.com/watchmenaenaeph/ for more designs that suits your personality. Thank you! Tory Burch watches for sale! Tory Burch watches for sale (with box)!!! Price is Php 3,500, shipping fee is FREE. Resellers are welcome! Please visit and LIKE our FB page https://www.facebook.com/watchmenaenaeph/ for more designs that suits your personality. Thank you! Bvlgari watches for sale!!! Price is Php 4,000, shipping fee is FREE. Resellers are welcome! Please visit and LIKE our FB page https://www.facebook.com/watchmenaenaeph/ for more designs that suits your personality. Thank you! High Quality watches for sale (Stainless Steel, Leather, Strap, you name it!). Please visit and LIKE our FB page (https://www.facebook.com/watchmenaenaeph/) for more designs that suits your personality. Thank you! TW Steel watches for sale!!! Price is Php 4,500, shipping fee is FREE. Resellers are welcome! Please visit and LIKE our FB page https://www.facebook.com/watchmenaenaeph/ for more designs that suits your personality. Thank you! Philip Stein watches for sale!!! Price is Php 3,000, shipping fee is FREE. Resellers are welcome! Please visit and LIKE our FB page https://www.facebook.com/watchmenaenaeph/ for more designs that suits your personality. Thank you! For sale: Shell Helix Ultra 5W-30 Fully Synthetic motor oil. (4 pcs left @ P700 each). Thanks! 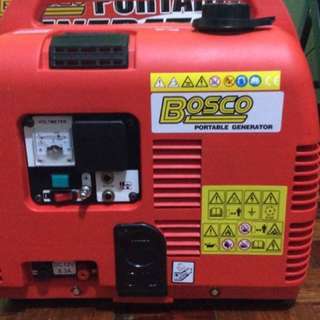 For sale: 2nd hand Bosco Portable Generator. Isang beses lang po nagamit tapos tinago na sa box. RUSH!!!! Original price is P27,000!! P12,000 ONLY RUSH RUSH RUSH!! !